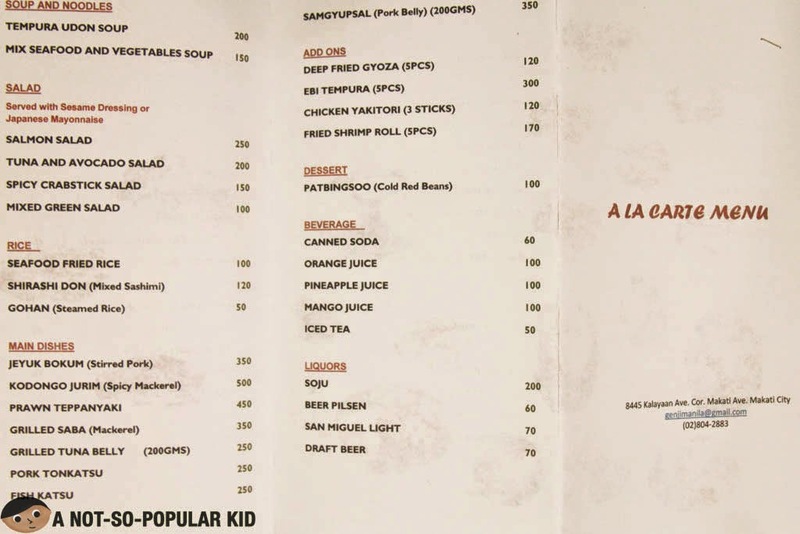 Hello there foodie yuppies of Makati! 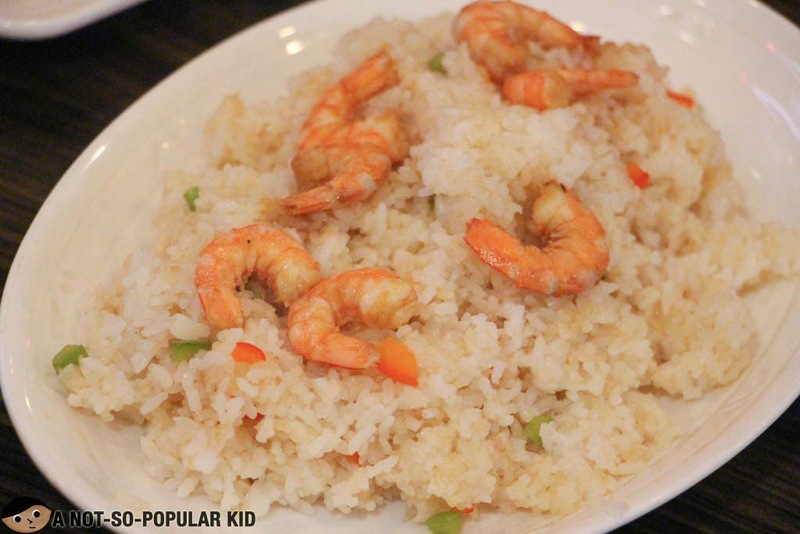 Here's something that may spark up your foodie world, without even breaking your budget too much! Well, Genji-M just recently launched its first-ever Ready Set Go Lunch Promotion which also another fancy term for "Timed Buffet". What's all about this "Timed Buffet"? Since most of the yuppies out there are on really on the go (considering the limited lunch time provided), the Unlimited Sushi Buffet may not be that ideal and "sulit" for them. Hence, to address this, Genji-M rolled out an exciting "Timed Buffet". 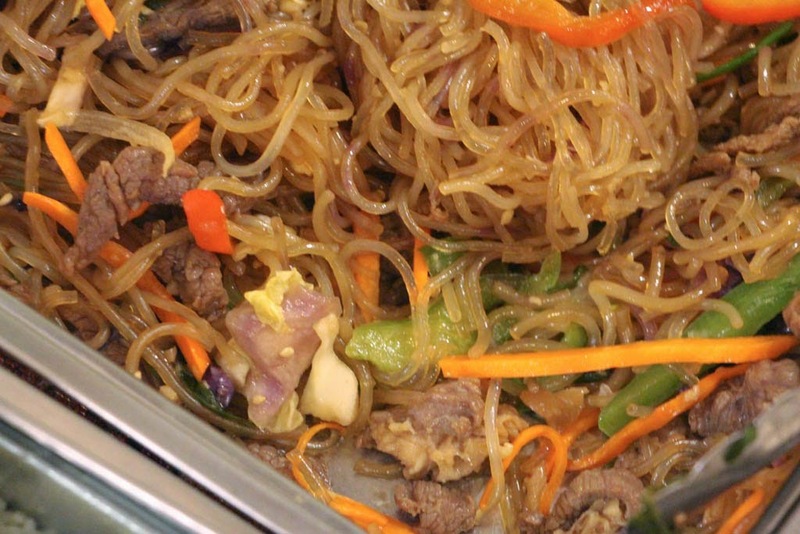 Most of the dishes available are of Korean Cuisine. Hence, you may need to take note of that one. 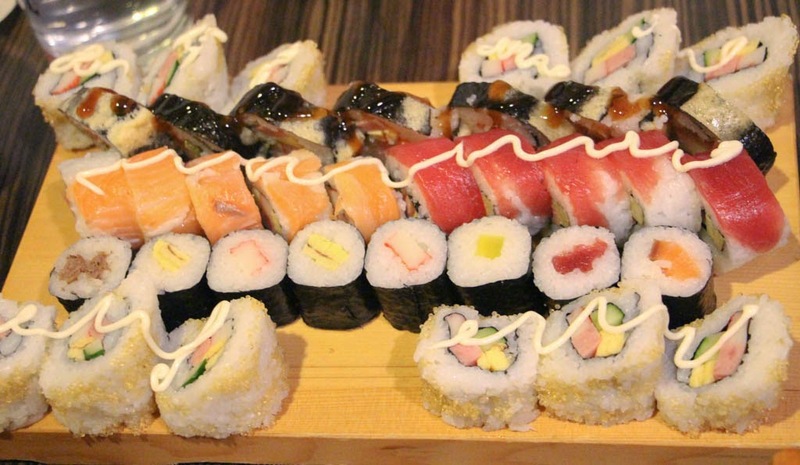 And here are some of the rolls and maki that may be served during the Timed-Buffet. The selection depends upon the day, so let Genji-M surprise you! Important Note: The dishes available during the Timed-Buffet is also available for those who will avail of the Unlimited Promos! 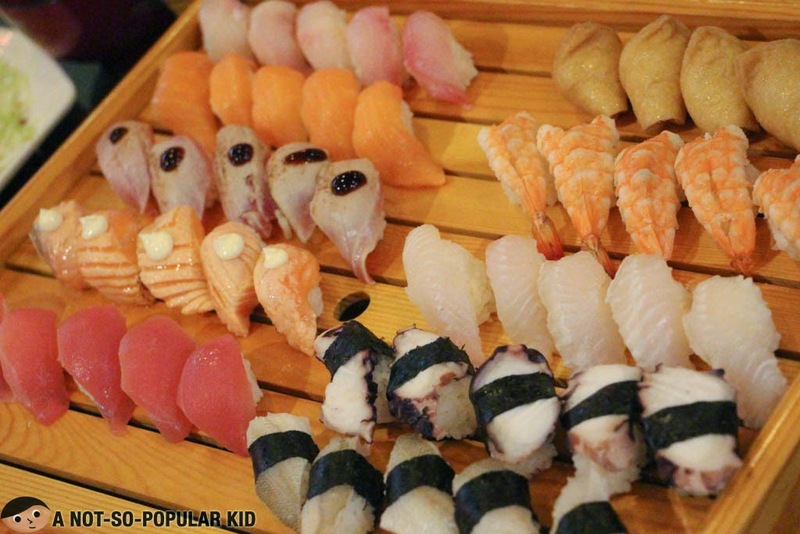 Hence, you no longer need to wait long before your next set of sushi and/or sashimi arrives! 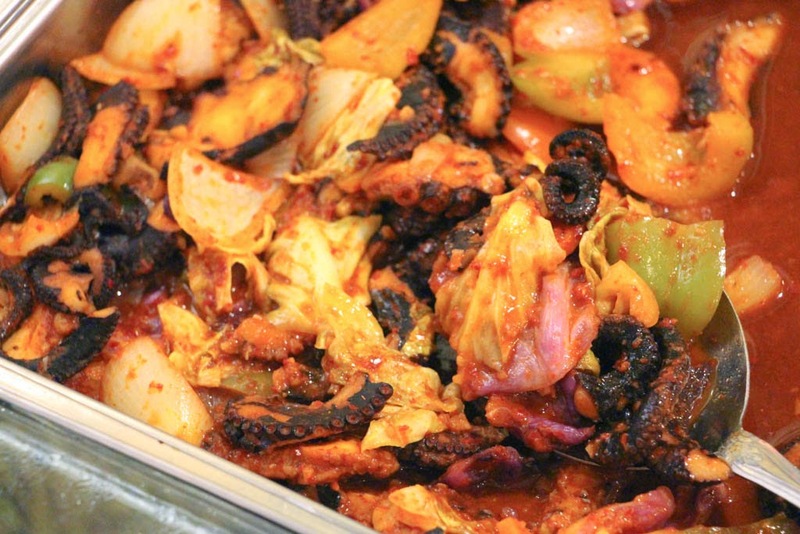 You may now indulge yourselves with other Korean dishes! 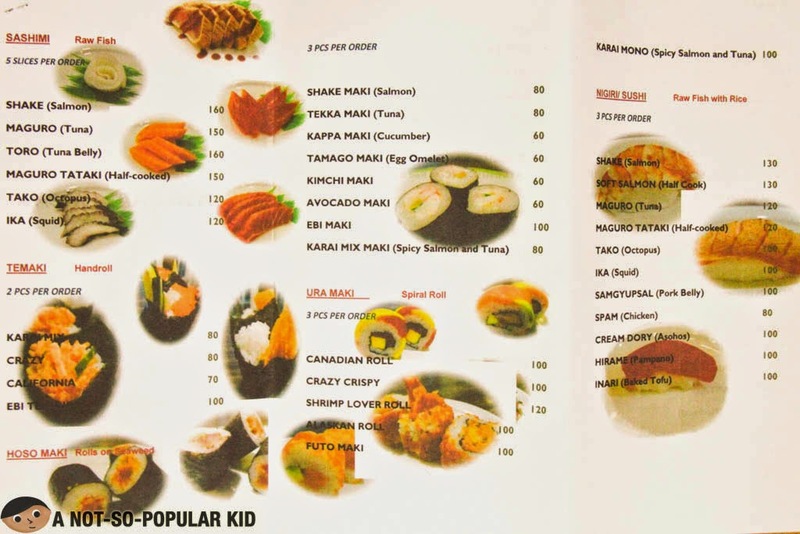 If in case you have a lot of spare time during lunch, or you want to visit during dinner time, then I suggest you try the Unlimited Sushi and Rolls! 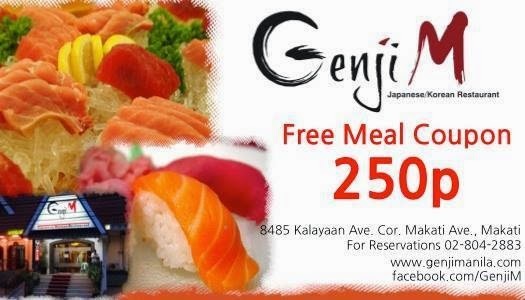 There are printable vouchers in the Facebook Page of Genji-M that provide you discount up to P250! 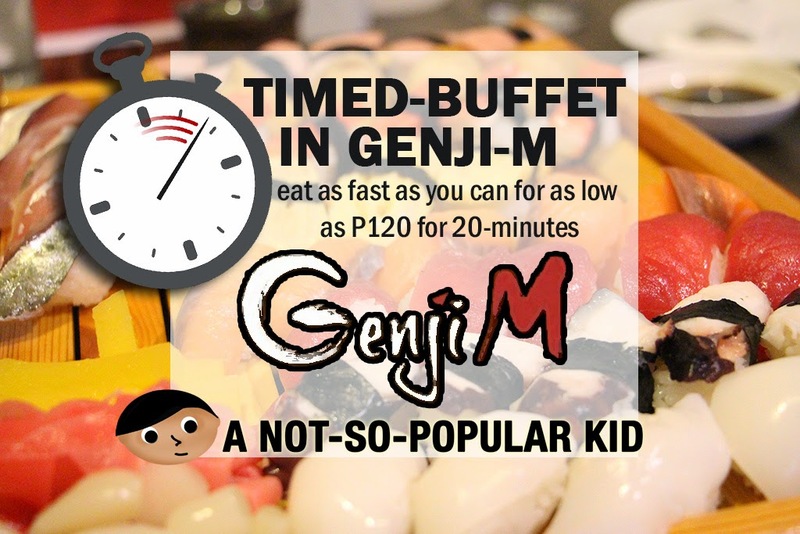 Okay, in order to motivate you to go try the Unlimited Sushi and Rolls + Sashimi, Genji-M is bringing back the P250 Coupons! Just print this up, and you are good to go! However, please take note that Genji-M is accepting this coupon strictly for CASH transactions. The Issue on "Slow Service"
Okay, as you may have read somewhere on Genji-M's Facebook page or other review sites, there was an issue about the bad service (as they claim it). 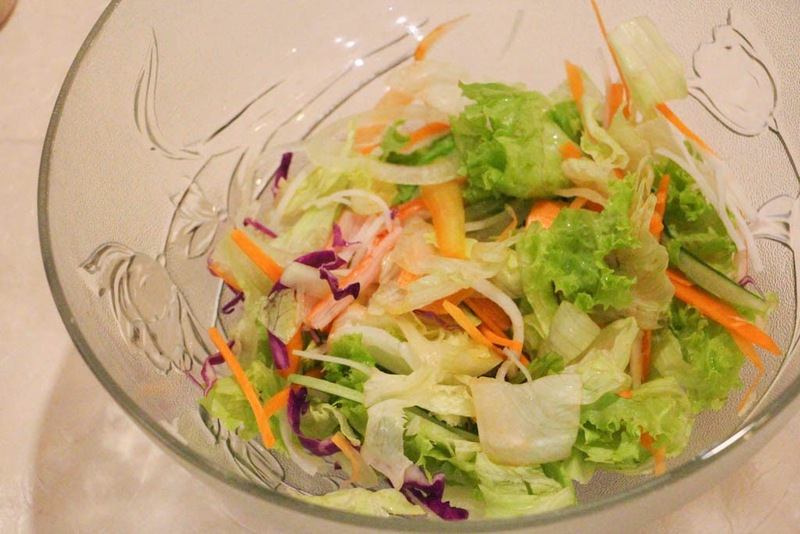 However, management of Genji-M wants to clarify that slow service is different from bad service, and the reason behind being not that fast is because all the food are all-nature and fresh that requires some time for preparation. The good news is, after the sudden influx of customers a few months back, Genji-M has started adapting and adjusting to the situation. This can be evidenced by the improvement of management, change of head chef and some system changes. 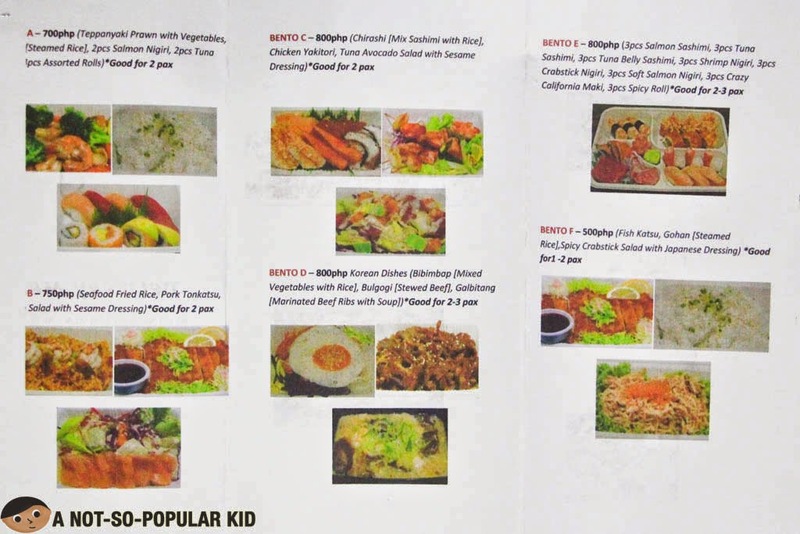 If in case you are not a heavy eater, why not check out some of these ala carte dishes you may order here in Genji-M? 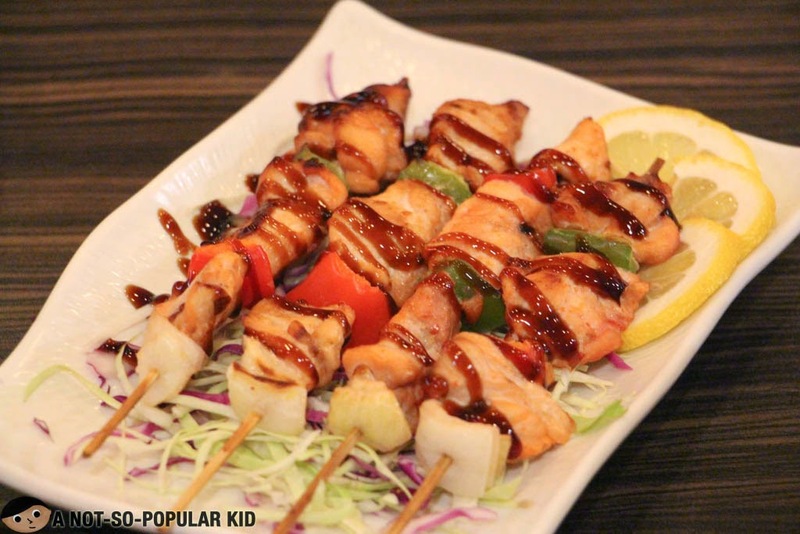 This Chicken Yakitori will appeal to those who don't like a lot of sauce on the chicken. 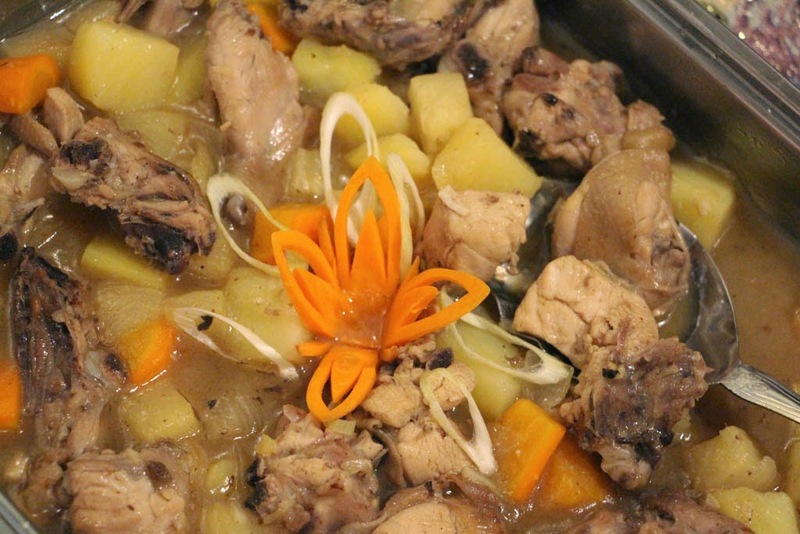 The way it is cooked enables you to focus on the simple taste of grilled chicken. Of course, the light drizzles of the sauce adds some subtle sweetness to it. 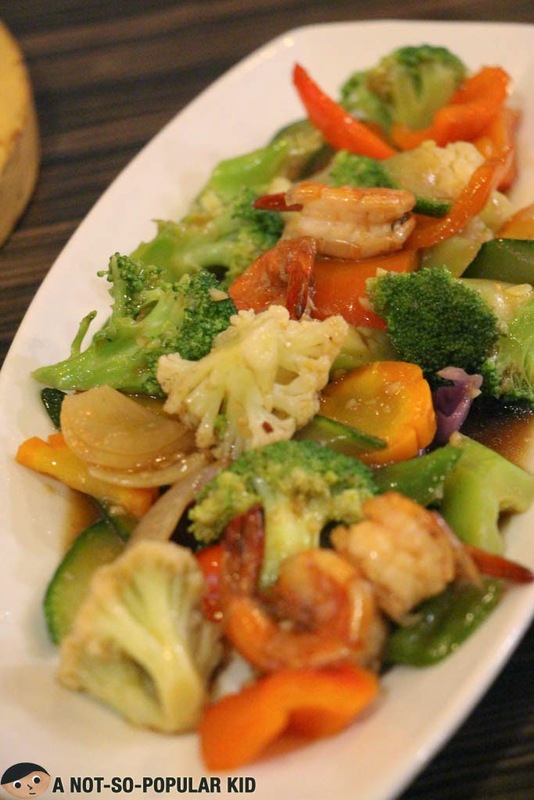 Prawn Teppanyaki - a vegetable dish! Hmmmm, I wasn't able to give this I try because I was minding all the other dishes as well as the Sushi and Sashimi of Genji-M. Hence, what I can comment on is the price perhaps (which is considerably expensive). 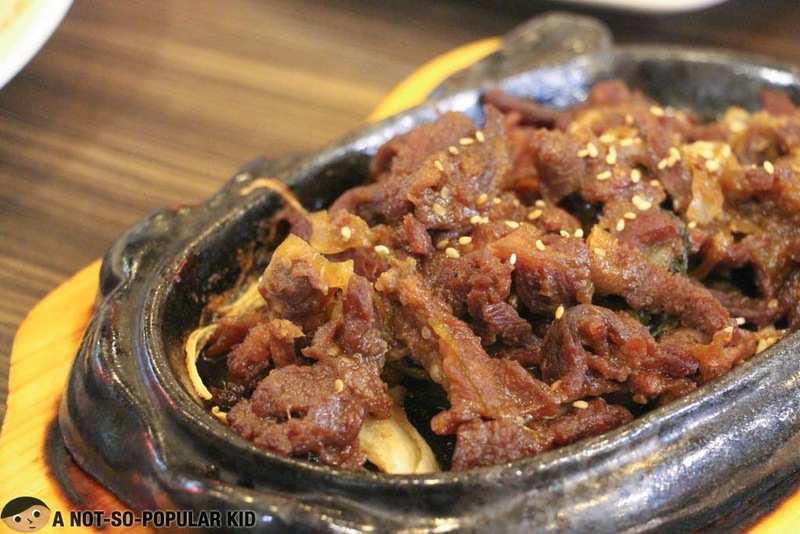 This Korean Bulgogi had a very sweet and savory flavor to it that is highly recommended for those with a sweet tooth (i.e. those who appreciate sweet dishes). 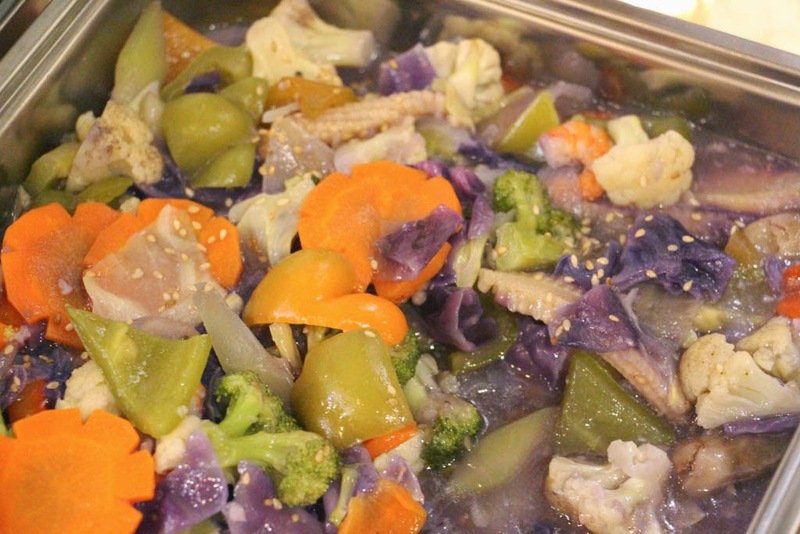 Upon serving, you may need to continuously stir or turn the beef around to avoid overcooking. 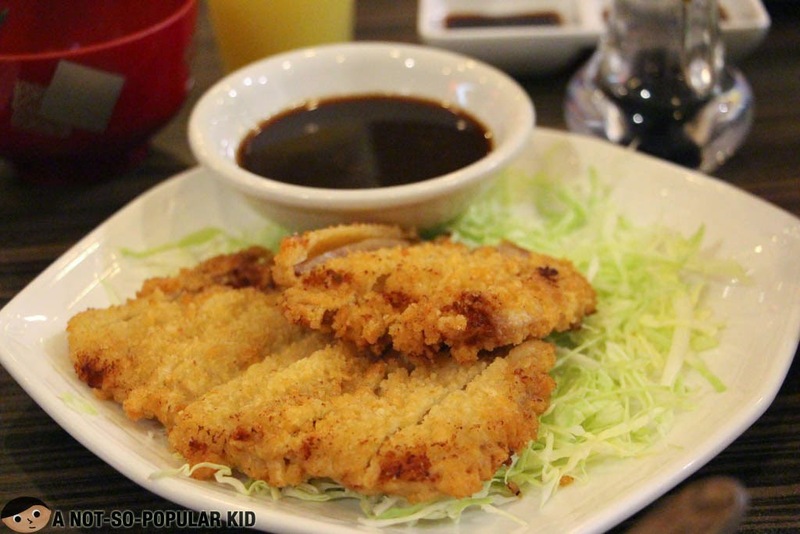 This Pork Tonkatsu, although not very much visually enticing, had a crunchy breading enveloping a relatively thin slice of pork. I wasn't impressed by this dish, but I was not disappointed as well. It was just a little bit in-between. 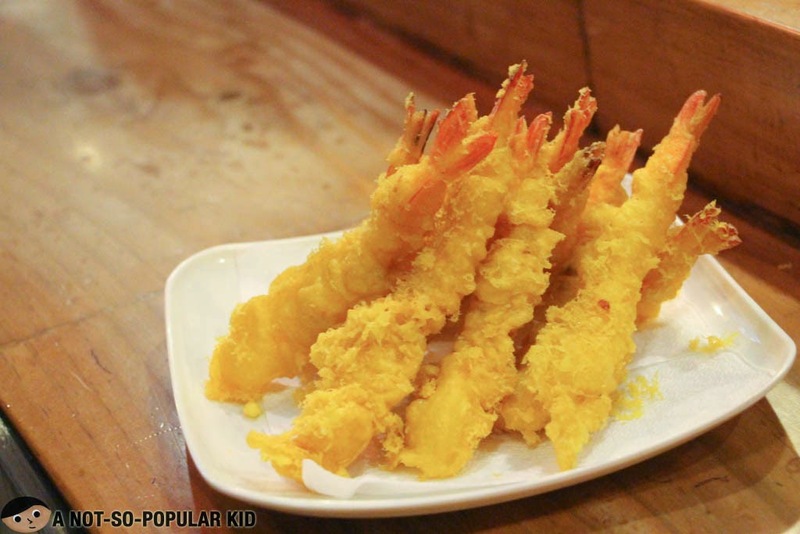 The Ebi Tempura was great in terms of the frying and the taste! 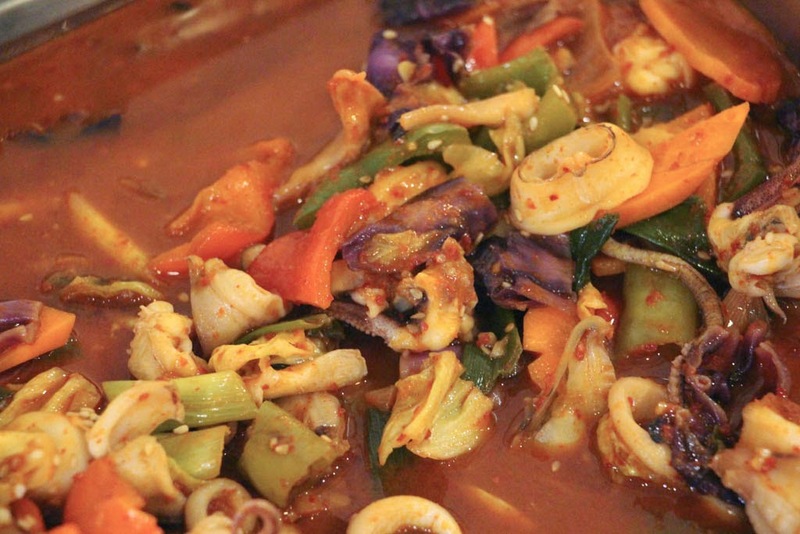 Plus, the sauce that came with it just brought out more goodness to the dish. Samgyupsal of Genji-M - simple and light! Although it may be considered bland for others, this Samgyupsal has a light taste letting you focus on the flavor of the pork belly itself. 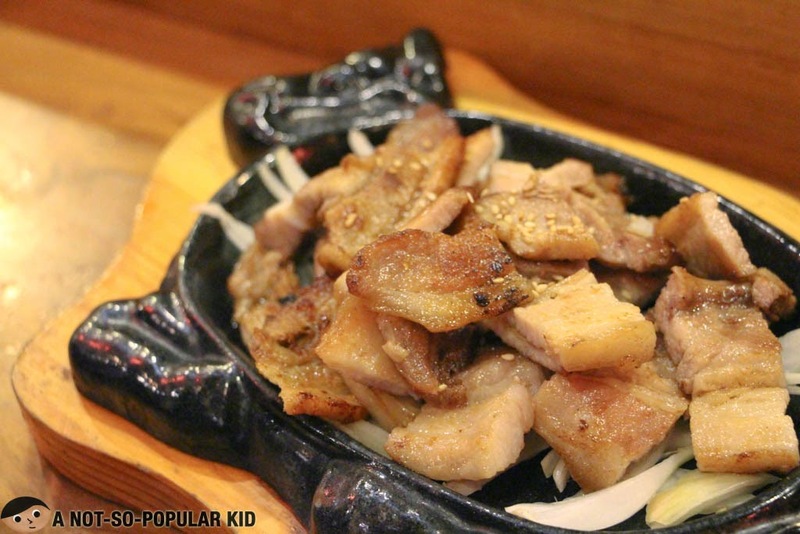 Noticeably, Genji-M uses thicker cuts of pork belly for this dish. Great news! You can now enjoy Genji-M at home as well with the new Delivery Menu! 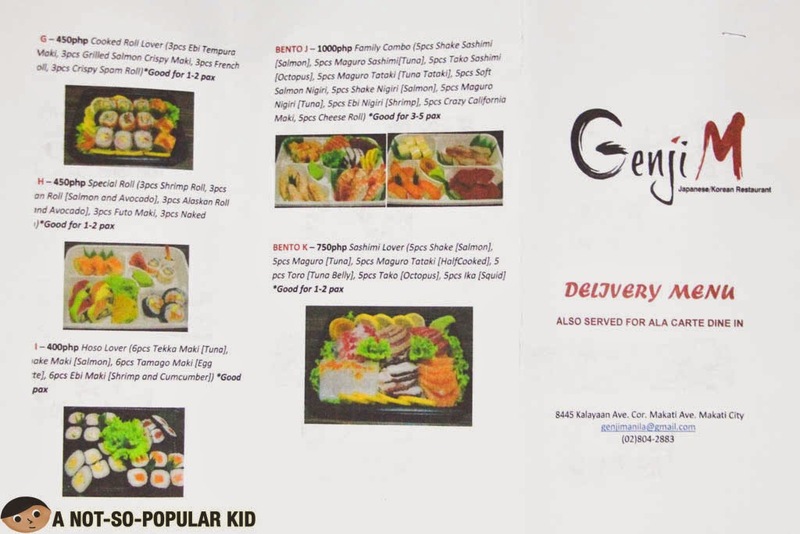 Hence, if you are planning an awesome Japanese-inspired dinner or party, you may want to involve Genji-M! Click on the photo to enlarge. There you go! I hope you found this blog post useful and interesting! Feel free to share a piece of your mind by giving this restaurant a rating and/or commenting below! I love trying out different foods. I'd like to find a good buffet in Andrews. We will be stopping there soon.